After spending over 15 years honing our skills, we understand what it takes to be a reliable Tulsa carpet cleaner. In our line of work, success depends on being able to deliver consistent results in the face of unique job conditions that evolve daily. At Dynamic Carpet Care, we’re proud to continue pushing our industry forward for the benefit of the homes and businesses we serve. Ask us how to enjoy a cleaner carpet today. We’re unlike any other Tulsa OK carpet cleaning company. Although many providers focus on job time as if working longer equates to superior results, we’ve chosen to devote ourselves to pursuing new levels of service quality instead. 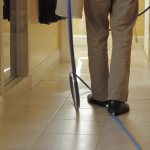 Every one of our technicians undergoes rigorous training before we permit them to work in your home or business, so you can depend on cleaning perfection time after time. 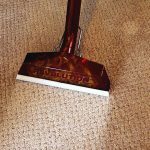 When your looking for the best Tulsa carpet cleaners, call on Dynamic Carpet Care. We firmly believe that a lot rests on your rug staying clean. 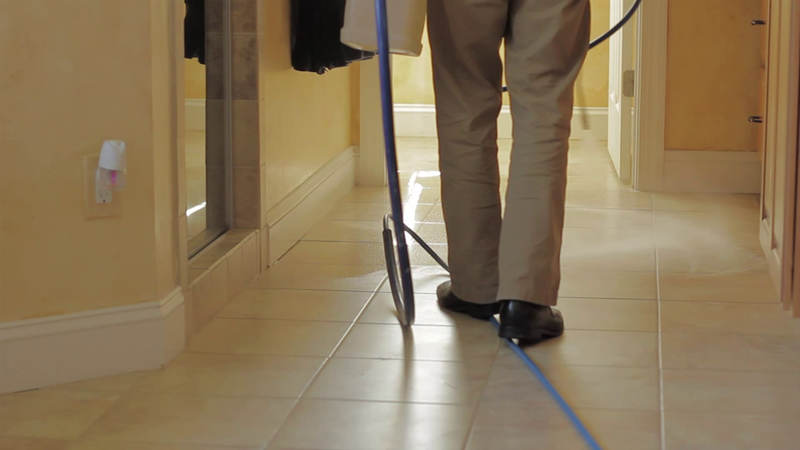 From helping you survive seasonal allergies to preserving your long-term well-being, sanitized floors play irreplaceable roles in keeping your home or business healthy. Dynamic Carpet Care is committed to refining and improving our standards. 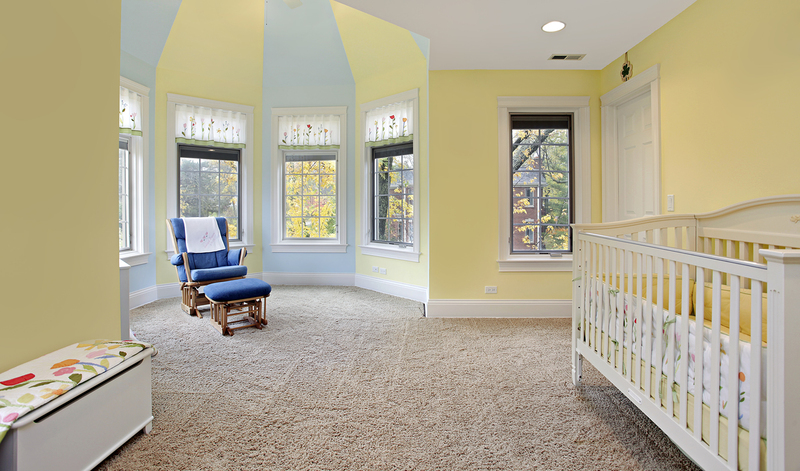 Our continual quest to become better Tulsa Carpet Cleaners helps you to enjoy your home. There are countless ways to transform a soiled carpet into a pristine version of its former self. We’ve partnered closely with manufacturers and industry specialists to identify the best solutions for each application. We equip you with the knowledge you need to make a smart, cost-effective selection that contributes to your peace of mind, health and personal hygiene preferences. We’re proficient in the hot-water extraction procedures that some of the world’s biggest manufacturers recommend for their products. 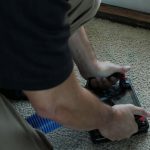 As a comprehensive Tulsa OK carpet cleaning company, we’ve also improved on these methodologies by instituting our own stringent quality controls and informed assessment techniques. With help from Dynamic Carpet Care, you’ll never have to worry about picking an ill-advised cleaning option or wonder whether your slow-drying carpet might expose you to hazards like mold. We’ve successfully eliminated tough messes, stains, odors and discolorations from carpets, tile and upholstery across the Tulsa metro area and throughout Green Country. Our professional Tulsa Carpet Cleaners always ready to take on new challenges. Discover what makes us the preferred Tulsa carpet cleaner for so many homes and companies by booking your appointment today. 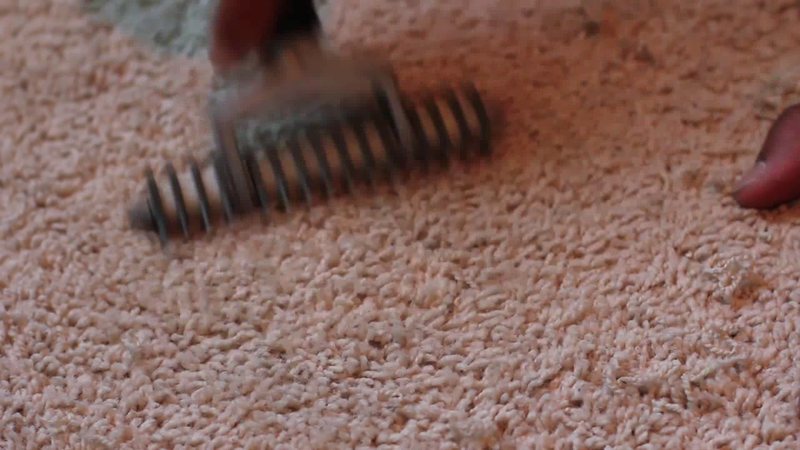 Dynamic can help return your carpet to bright and clean. Just Call or Click to Make The Appointment! First, we will walk with your through your home, taking note of any areas of special concern. The technician will discuss spots you can expect to come out and which ones may be permanent. We can move a few pieces for you at no charge. Some larger items will not be moved by your floor cleaner. Please have these items moved prior to our arrival if you would like them cleaned underneath. In general, large pieces that have never been moved aren’t subjected to regular foot traffic. These areas can likely be cleaned well with a good vacuum. Once we have your approval to get started, we’ll place moving blankets to protect your hard surface flooring from any equipment we bring into your home. At this time, corner guards will be placed to protect your walls from any of the hoses we use during the cleaning process. 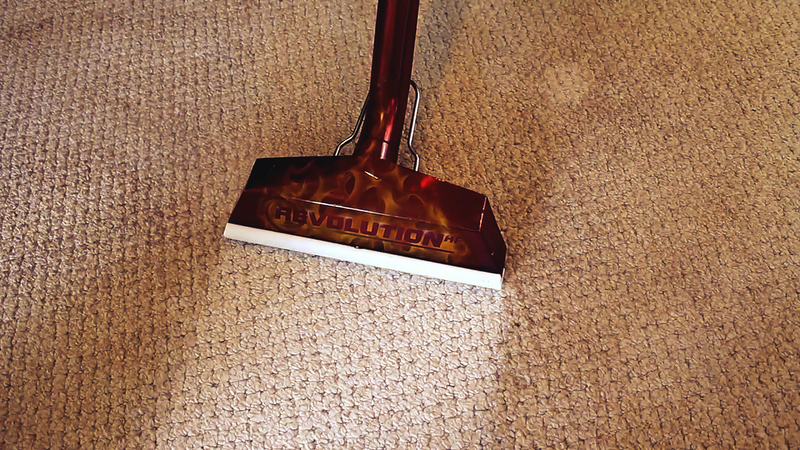 We will apply a pre-spray solution to all areas of your carpeting that are going to be cleaned. This solution loosens the soils away from the fibers, allowing them to be flushed away.This safe solution takes care of nearly all of the soiling and spots on your carpet. Any remaining spots will be treated once this step is complete. Depending on the soil level of your home, we may use a carpet groomer or rotary machine to help further loosen the soil from your carpets. 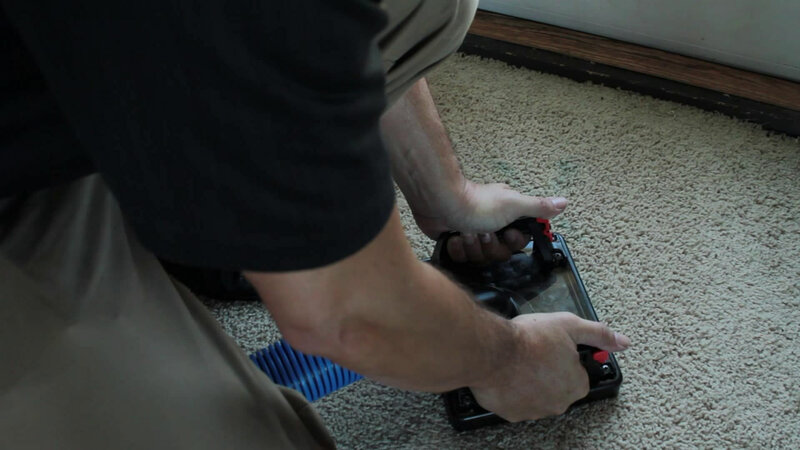 Once the pre-treatment is allowed proper dwell time, your carpet is rinsed with de-ionized water. This water is so pure that it has no minerals left, leaving your carpets softer than ever before. This is very important, as we never use any detergents through our machine that will cause rapid re-soiling. Any spots that didn’t come out during our normal cleaning procedure will be taken care of at this time. Most of these spots will be from an artificial dye such as Kool-Aid. There is a small additional charge for removing these spots. Please note that they are sometimes permanent. 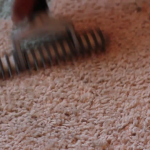 Your carpeting will be groomed to remove any wand markings and also to promote faster drying. Typical drying time is about 3 hours. We will do a walkthrough of your home with you to ensure your complete satisfaction.